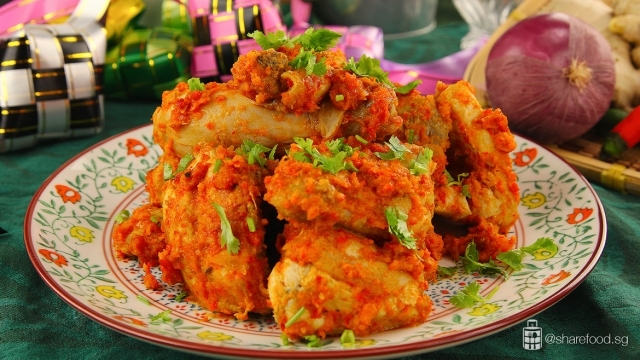 Succulent chicken meat with spicy and fragrant Balado sauce. 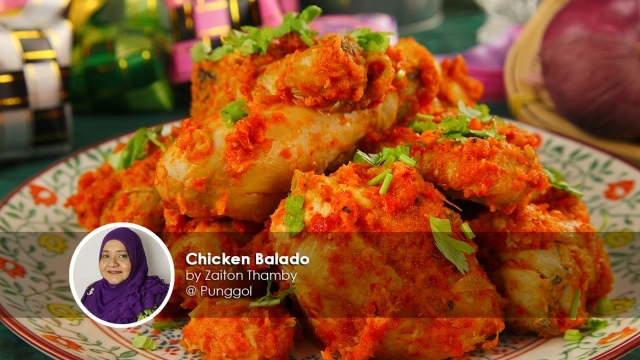 Make the best Chicken Balado of all time with this recipe by home cook Zaiton Thamby. The key to making this dish so delicious is the spices. Balado is a fragrant chilli sambal from West Sumatra, Indonesia. Sambal is a staple sauce in Indonesia and the ingredients used in them depends on the region. 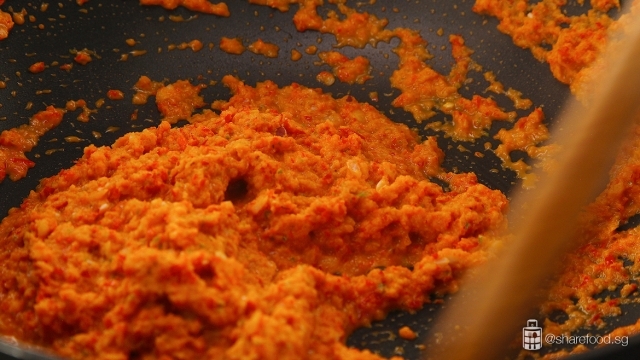 Balado paste is made from ingredients such as red chilli, garlic, and shallots. 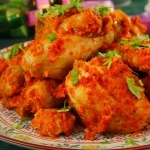 Cook the Balado paste till fragrant! The steps to making the Balado paste is really simple. First, we prepare the ingredients such as red chilli, green chilli, onions and garlic. 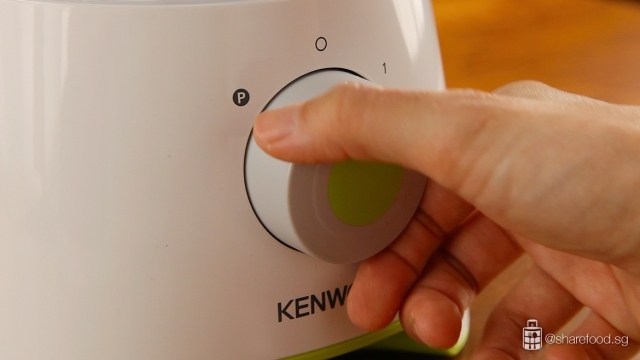 Next, we place all the ingredients in the Kenwood MEIA Chopper and pulse the ingredients. This chopper is great for chopping down spices, vegetables and meat. A tip would be to not over chop it and keep it a little coarse so that you get the texture when eating. Lastly, we place the nicely chopped ingredients to a hot pan with oil and stir-fry till fragrant. 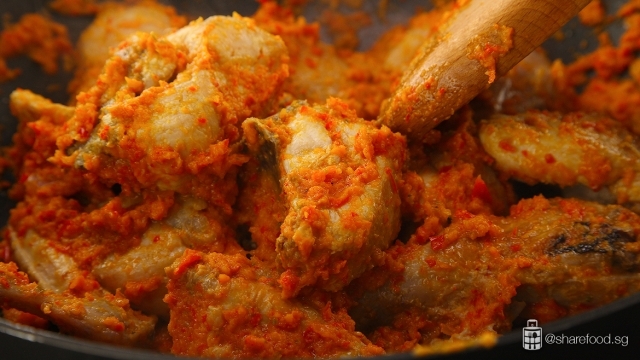 For juicy tender chicken, fry it before cooking with the Balado paste. This will hold in the moisture and the Balado sauce will coat the chicken nicely. 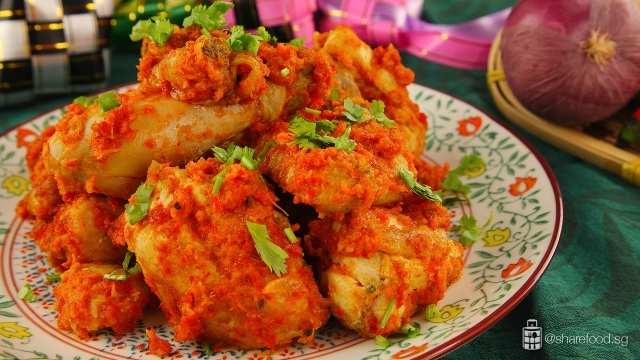 Share this Indonesian delicacy, Chicken Balado with your friends and family this Hari Raya! Make this for your family and friends this Hari Raya. This is definitely one of the tastiest things you can do with Balado paste. We aren't exaggerating as it's super addictive and once you've tried it you'll only want more. Marinate the chicken with garlic ginger paste and salt. Set aside for 10 mins. 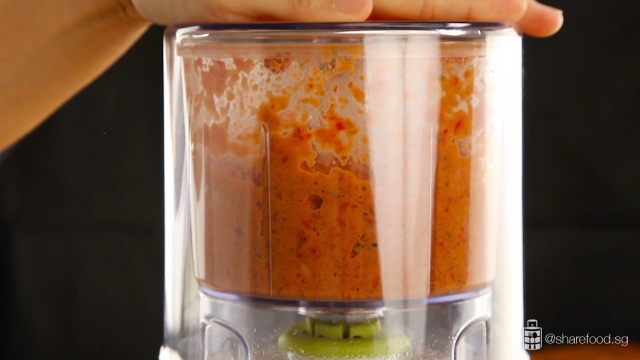 Add red chili, green chili, red onion, garlic in the Kenwood chopper. Pulse the balado paste. This will keep the paste a little coarse so that there is texture when eating the balado sauce. Use a kitchen towel to dry the chicken slightly. This will reduce the water content in the chicken and prevents the oil from splattering. 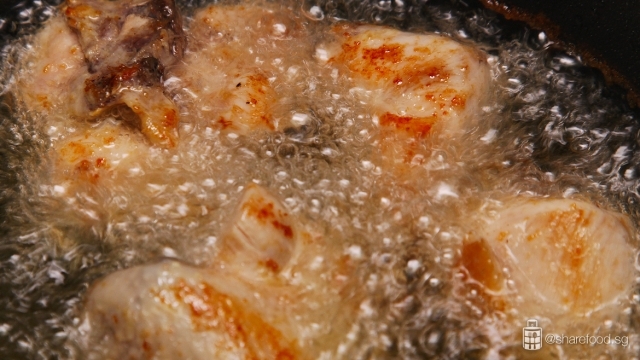 Heat up 1litres of oil in a pot and deep fry the chicken till it’s golden brown. Transfer to a plate lined with kitchen towel to drain the excess oil. In a frying pan, add in 1 tbsp oil. Add in the chilli paste and fry till fragrant. Add chicken stock concentrate and salt to taste. Add vinegar and the fried chicken, fry till evenly coated. Add in some water if the chilli is too dry. 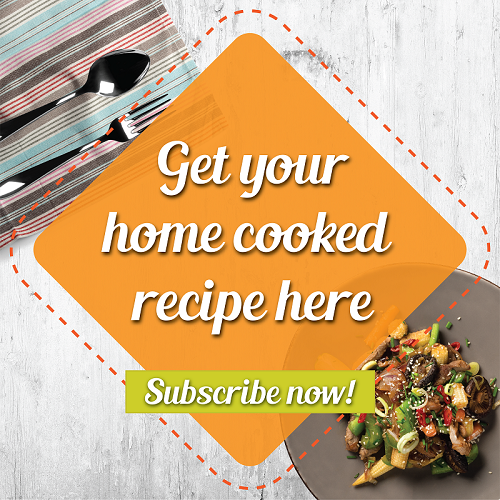 Cook till the balado sauce nicely coats the chicken and it's ready to be served!